Breakaway - Do You Remember? He was the meanest geezer in the city, uh huh real rough stuff, not too pretty uh huh, but he still remembers the fateful day that his Mum did say, "I'll take away your Breakaway". That's real milk chocolate around a crunchy biscuit, she coulda been bluffing, but he couldn't risk it. 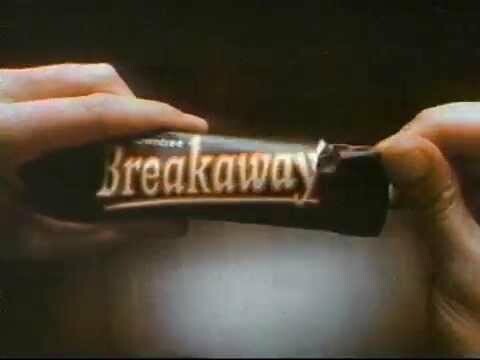 "OK Mum I'll do as you say... but don't take away my Breakaway"
Adverts those days used to really stick in your head!